As I mentioned in my post two weeks ago, How Do You Choose? Bought Books Vs Review Copies, I have a huge physical TBR. I now have 58 books that I've bought this year that are currently unread. Plus god knows how many review copies from this year. And I'm behind on last year, too - the disadvantage of being a mood reader. All my books, read and unread, are stacked on my five book cases, bottoms out, and they are stack in numerous tall piles on the floor. I am running out of room for physical books. I'm going to try and be stricter in 2019, but I have been trying, where possible, to only accept eProofs from NetGalley where possible. This year, I've also been trying to read more eProofs. And while this saves my room from becoming even more of a health and safety hazard, I've found some problems with eProofs, too. 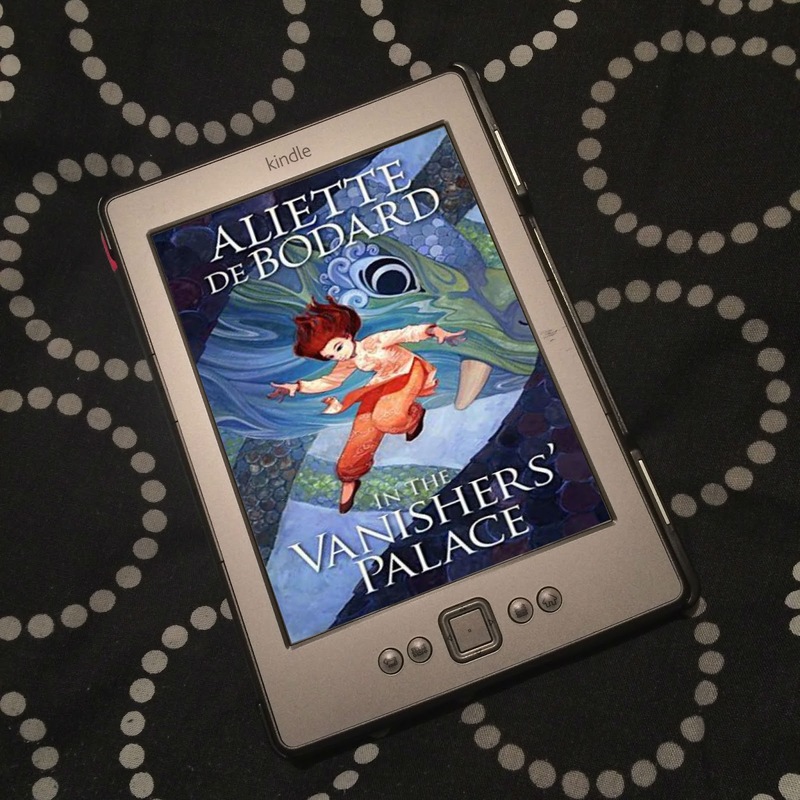 So today, I thought I'd talk about what I think are the pros and cons of eReaders and eProofs. As already mentioned, physically, an eReader takes up less space than physical books. Which I desperately need now. I have very little floor space left. eReaders can hold multiple books. Which, again, saves on the physical space. eReaders are light. It weighs a lot less than even one book. You can pop it in your bag, and you'll barely notice it, but you'll be carrying a huge amount of books in your bag. I read eBooks quicker than physical books. I think it has to do with the time taken to turn a page vs the time taken to simply press a button. But I definitely get through eBooks quicker than physical books. I'm more likely to be accepted for an eProof than a physical ARC. This is definitely the case with some publishers, especially the few US publishers that allow UK bloggers to request eProofs. And if I'm auto-approved, too, I know I'll definitely get that book I want. Choosing a eProof over a physical ARC means that someone else can have the physical ARC. ARCs are expensive to make, so publishers only have so many. That's a limited number of people they can send those ARCs to. By taking an ARC, someone else misses out. By requesting an eProof over an ARC, someone else gets the chance to be sent the physical ARC. I actually prefer physical books. I do. I love them. They can be pretty, and look good on a bookcase (when you have enough bookcases to fit all your books). I also just really enjoy the experience of holding a book in my hand while I read. eProofs aren't always formatted correctly. Which, depending on the eProof, can be a tad annoying to a pain in the backside. If a book has elaborate, illustrated beginning to Parts or chapters, they don't translate well for an eProof (though I can't say how this works for bought eBooks, as I rarely buy them). You'll end up with pages of a strange image you can't work out, and you press the next page button a fair few times before you get to actual text. Also, if it's a book that features a map - and I do love a map - they're screwed for the same reason. It's very easy to get request-happy on NetGalley, and just request everything you fancy. I'm quite lucky, and tend to get accepted for most eProofs I request, and because I can't physically see the eProofs I'm being accepted for, when it comes to the end of the month and I'm doing my wrap up post and listing all the books I received that month, it suddenly dawns on me just how many eProofs I've been accepted for. I may read quicker when reading on my eReader, but with being request-happy, I can't read fast enough to keep up with the books I've been accepted for. So I end up with a fair sized digital TBR. Doesn't really match up to my physical TBR, but there are still quite a few. Because I can't physically see the eProofs, it's very easy for me to forget what books I actually have on my eReader. Being a mood reader, when choosing my next book, I like to look at the various books I have and reads blurbs to decide what I want. I can't do that on my eReader as there are no covers or blurbs in the list on my eReader. Sometimes I even forget what a book is based on it's title alone. The eProofs I remember having are the ones I've requested recently, so older eProofs get pushed further back, several pages into the list of eProofs. 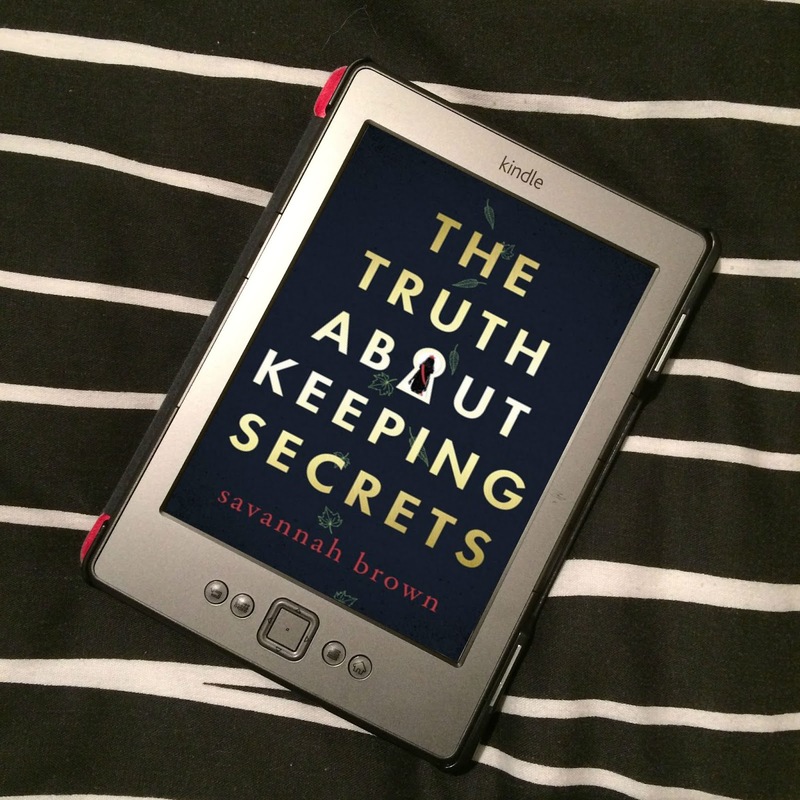 Because of being a mood reader, being request-happy, and forgetting what books I have, when I look back over the eProofs I have on my eReader, those that are several pages into the list, I question why I ever requested certain eProofs in the first place. Cull your books. 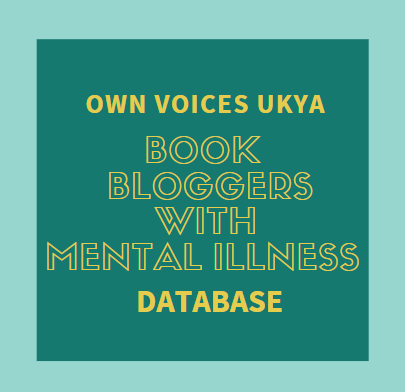 Any books you've read that weren't that keen on, or books you didn't absolutely love, get rid of. Try not to add too many bought books to the TBR. Don't buy so many. Maybe try to borrow instead. Save money, save space. Only request physical copies of books when you can't get them on NetGalley. And then, only for books you desperately want to read. Otherwise, try to borrow. When requesting eProofs, don't request everything that takes your fancy. Only request those books you know you will definitely read. Only those books you think sound amazing, not those that you think sound interesting. Borrow those instead. Try to read more books on your Kindle than physical copies. Should work out ok if I follow the above goals. So what are your thoughts on eProofs? Do you prefer eProofs to physical ARCs, or the other way round? Any problems you've had with regards to eProofs? 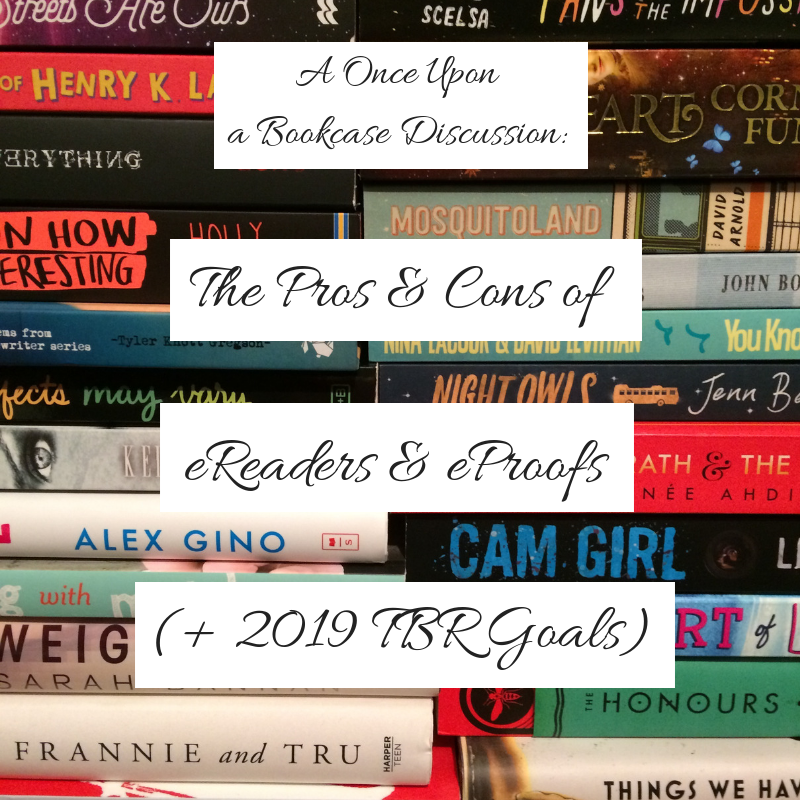 And do you have any goals relating to your TBR for 2019? Haha, I do prefer physical books, too, but for blogging purposes, I think eARCs are better. It's so sad that you don't get approved for much! I get approved for most things. I'm not sure if they really bother looking at the stats? I don't know. But isn't so odd at how much faster it is reading an eARC? It's mad! I read ebooks faster too. I do think there is the page turning factor, but it's also related to being able to see the words on the page for me. I am old, small print is tough, and I have have problems with my thumb and wrists, which makes reading a physical book a struggle. OMG, yes! So easy to keep pressing that request button, and right when you think you are never getting approved, you get get like a windfall of approvals. I have been limiting the number of books, for next year, because I want to go 50/50 ARCs and shelf. Aah, so eBooks are actually a lot better for some people, making books more accessible/easier to consume! I hadn't thought of that. Mate. The request button! Even though I think I'm being very selective, I've already been approved for ten eProofs this month (January). I'm looking at them thinking, whaaat?! I do want to read them, I just thought by being more selective, I'd be requesting fewer! They'll get read, though.